The shallow San Pablo Bay has a reputation for rough waters. For the most part, I've found the bay to be generally benign, but yesterday it lived up to its reputation. 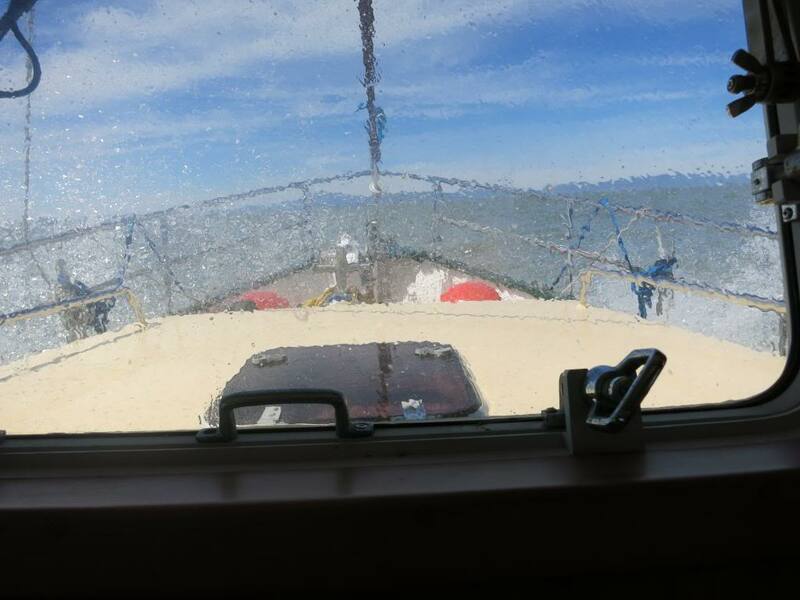 Never successfully captured the moments on camera, but we experienced spray six-feet above our railings at 6.3 knots. You should have heard the "bong" when I turned the Coot's steel hull around and a wave hit it broadside. A camera never quite seems to capture the storm effect when filmed from your own boat, does it. But have somebody film the sea conditions from the shore or another boat and it's a bit more obvious. Its always a gamble heading back to the Delta or down to SF and I know on the several trips I have made that catching the right tide makes a huge difference time and fuel. Glad you made it safetly.